I expect that some of you noticed my deliberate mistake on the last 'saltwater' page. There was nothing to do with sea angling at all in the piece from my pal Stu. Is Mike going senile or what? You might well ask. Well the truth is that although, for convenience, I have divided my website into fresh and saltwater pages this is not the way I think about fishing. In my opinion one of the greatest mistakes made in the history of our sport was when it was divided up into game, coarse and sea factions. 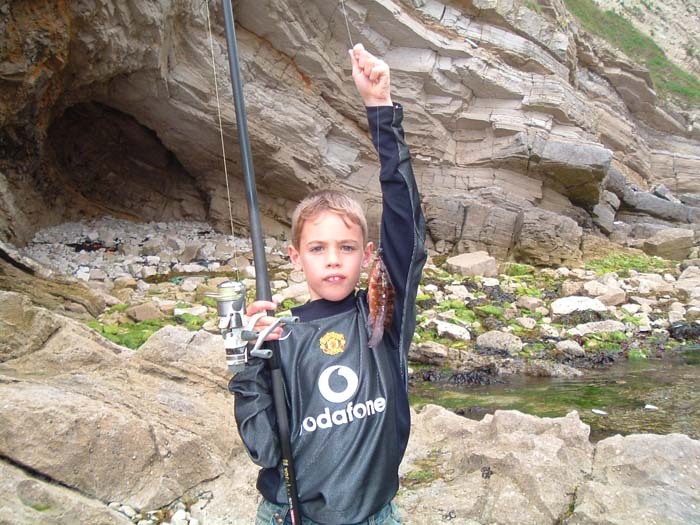 In fact there is really no difference between these branches of angling and I try to introduce my grandchildren to a wide range of tackle and tactics. Of course you sometimes need to use different approaches to the conditions that you encounter. 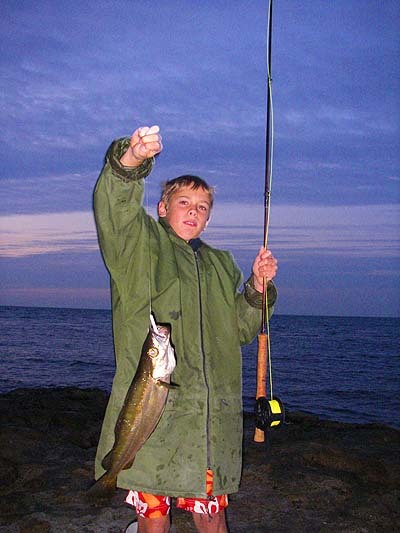 In rivers and lakes it is rare to fish in water more than a few feet in depth while boat fishing in the sea often requires big multiplying reels and heavy weights (although braided lines have made quite a difference here). Lakes and ponds hardly ever have much current while in rivers and seas this is a major factor and has encouraged the development of grip leads, fast sinking fly lines, diving plug baits, weighted swim feeders and the like. Often, a tactic intended for one situation can be successfully adapted to something quite different. Soft plastic lures evolving from the Redgills developed for pollack and bass are now widely used for catching pike and perch. 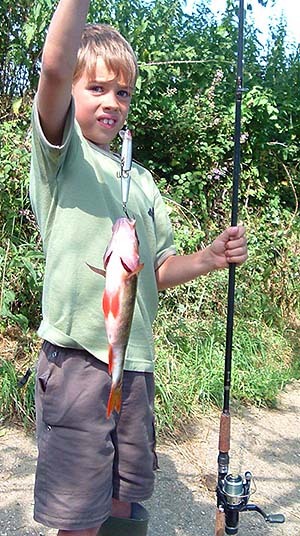 Circle hooks originally intended for use on set lines in the sea have proved to be an effective way of catching, and consistently lip hooking, fish such as pike and perch. Fly fishing with lures intended for reservoir trout is a very effective method to use for bass in saltwater and dry fly gear can provide outstanding sport with grey mullet (given the right conditions). 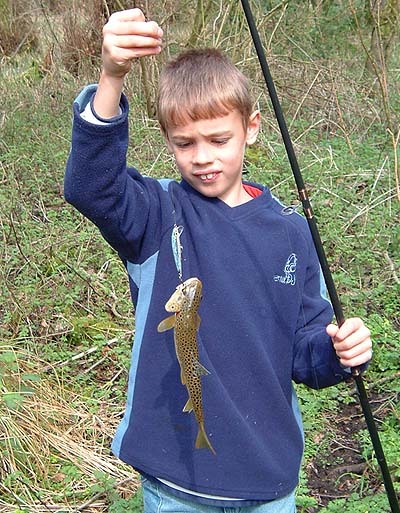 Anyway, I suppose what I'm trying to say is that, to judge from the magazines on sale, most anglers still seem to slot themselves into categories - sea angler, game angler, coarse fisherman - or even much more specific - trout fly angler, pole angler, boat fisherman, mullet angler, pike angler, lure fisherman, carp angler, etc. Of course there's nothing wrong with enjoying a particular facet of the sport and in any case your approach to fishing is often governed by what is readily available. Despite the seeming reluctance to accept the fact that we have a great deal in common, there's a lot to be said for just being an angler who, like myself, is happy to fish for anything that swims with whatever method seems appropriate. Last night I was on the phone to a friend Phil Hyde who is an enthusiastic and longstanding angling tutor. Phil was telling me that, at long last, because 'the powers that be' in Sport England will only speak to one representative body, the coarse, game and sea brigades are beginning to pull together. Hallelujah!! !